There ain’t no party like a Eureka! party, and everyone’s invited to help them celebrate their 25th! 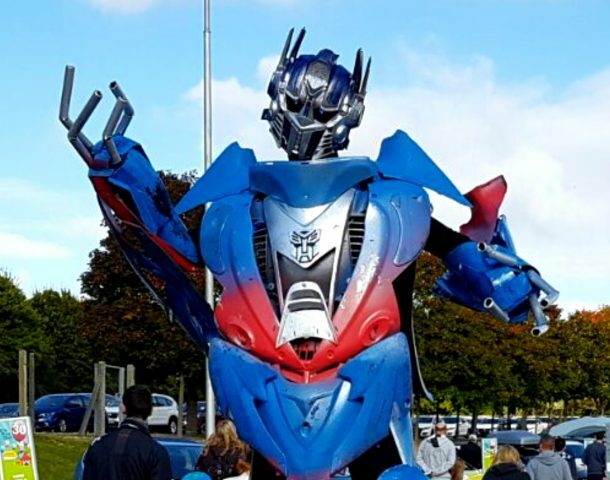 The birthday weekend on 8-9 July will include appearances from an 11ft Optimus Prime, party cupcake-hat making with Iota Arts, party music from Steelband Music Ltd and Phoenix FM, some truly awe-inspiring bubbles from Paris Bubbles, plus loads of party games and prizes from the Eureka! team. The weekend will also include the official opening of digiPlaySpace – a touring digital exhibition coming all the way from the Toronto International Film Festival (TIFF). With lots for kids to touch, control and play, digiPlaySpace will offer some of the best the world has to offer in new media fun and learning.